for Beta Program Members. 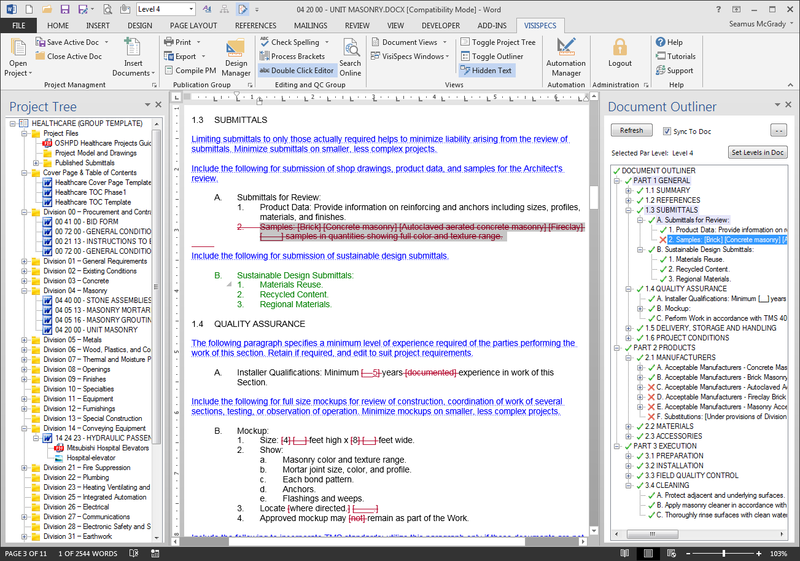 After multiple years of collaboration and development, the VisiSpecs applications are ready for external testing and client feedback to our VisiSpecs Beta Program Members, starting with our VisiWord application for managing and editing Master and Project documents. 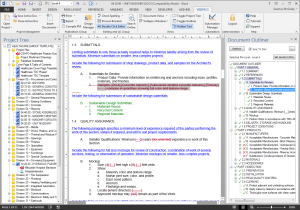 VisiSpecs enables the highest level of coordination in construction documents with the least amount of required data conversions, modifications, training on new tools, changes to the design process, and management required. VisiSpecs has been developed to utilize the current environment of tools users are already familiar with. Integrating these tools and the project team reduce the design time while improving the product quality and value delivered to owners. Under development since 2014, Chalkline founders are ready to bring the next generation of specification solutions to market. Clients and partners interested in learning more about the VisiSpecs Beta Program should email [email protected] for more information.